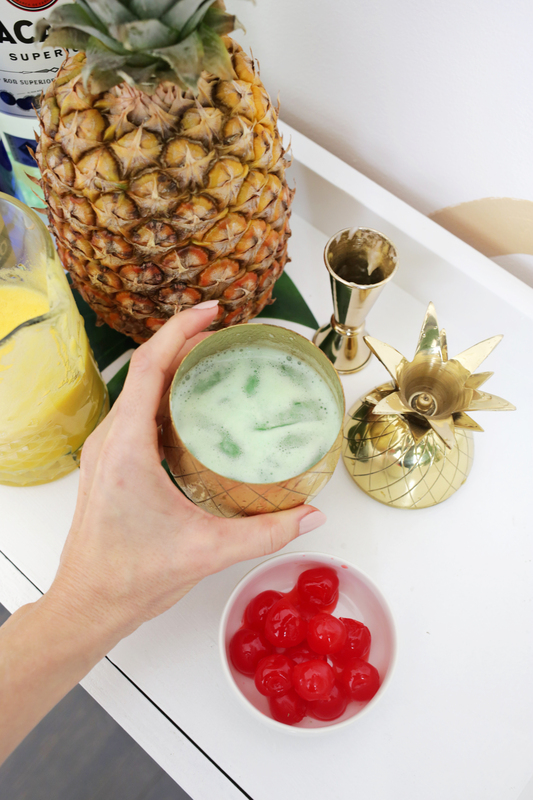 Ohhhhhh man. 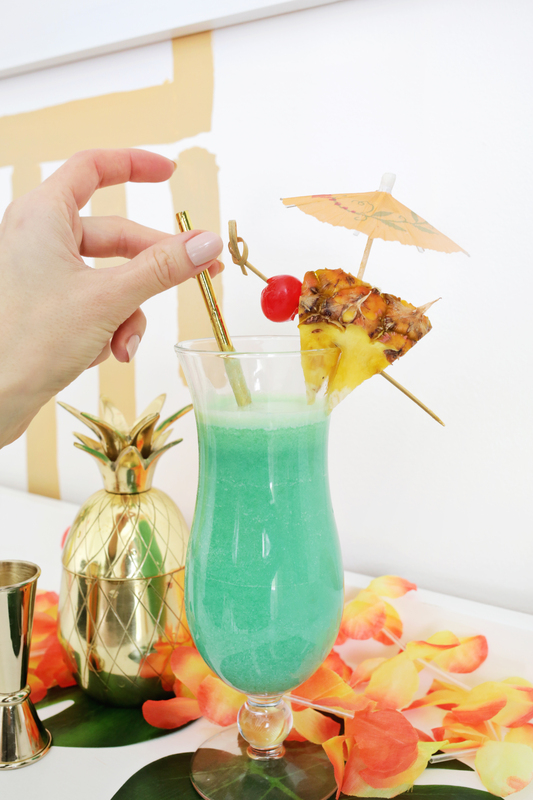 If you are in the “tropical drinks lover” category, have I got a drink for you! 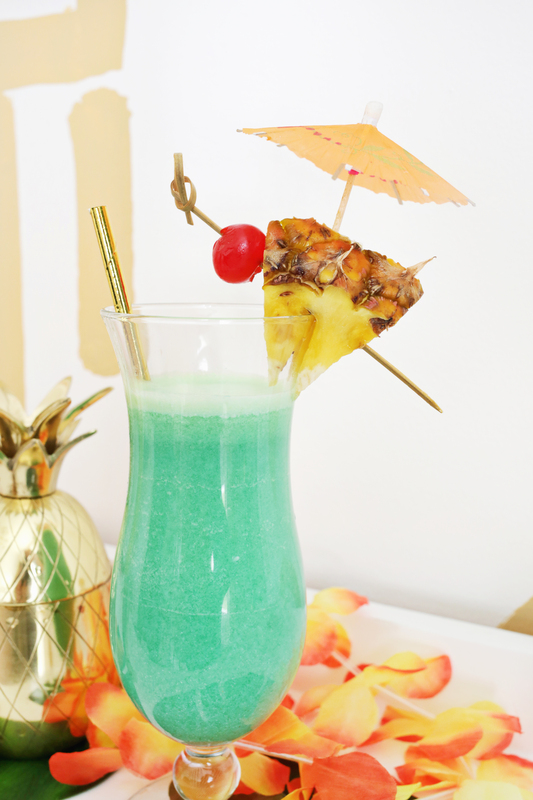 I tend to gravitate toward the more fruity/fun cocktails, so tiki drinks are usually a good category for me, and I have to admit that while I’ve heard of it, I’d never actually tried a Blue Hawaiian before last weekend! 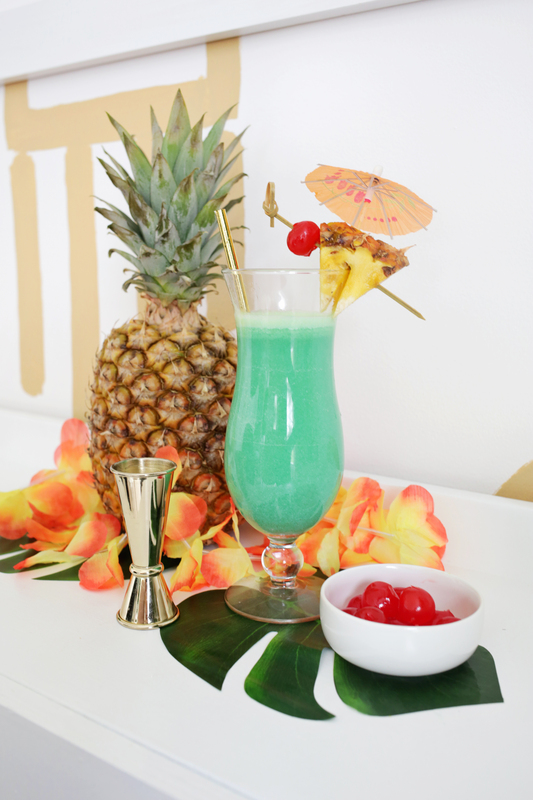 I feel like of all the tiki drinks, the Mai Tai, and the Blue Hawaiian are basically the most iconic choices, so I wanted to have one at our recent tiki party and it was the first drink I made for myself as soon as I got a chance—delicious!! 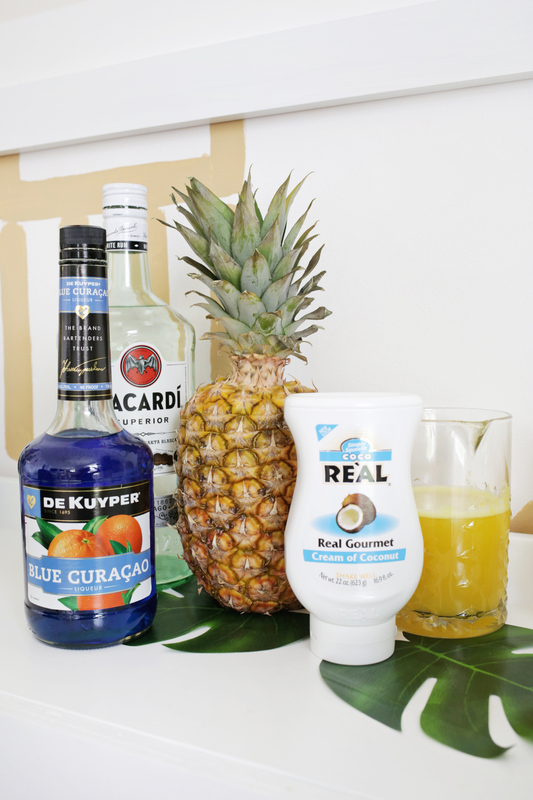 Add all your ingredients into a shaker with ice and shake well to combine. 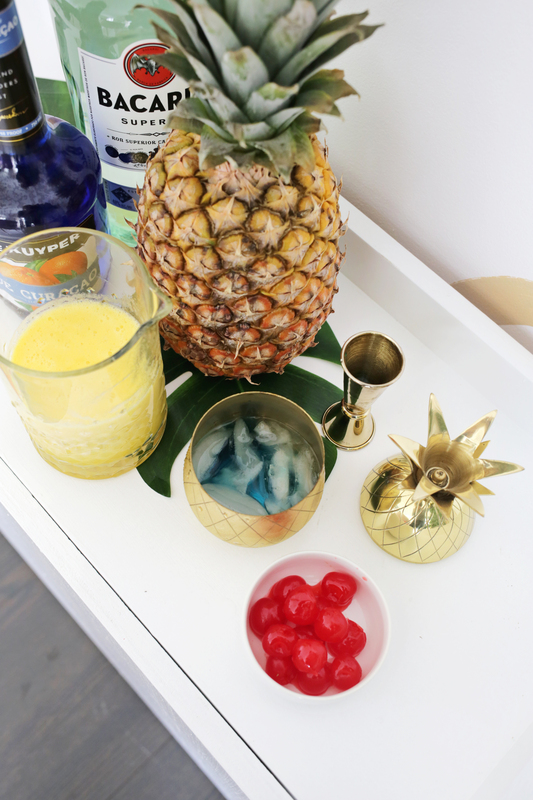 Pour your drink into a glass filled with ice and add your tiki garnishes to complete the look! 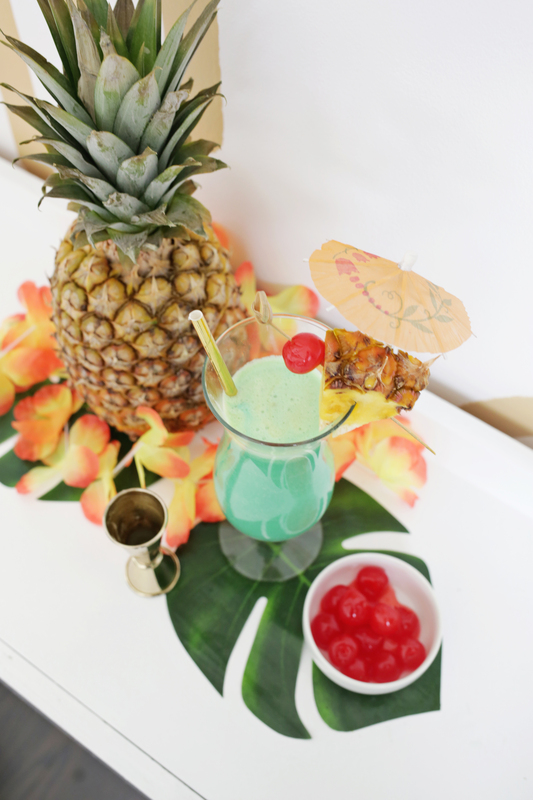 There are lots of ways you can garnish, but I did a cherry and pineapple wedge on a bamboo skewer and then stuck in an umbrella on top.